At the end of the day you can go to the city beach to reflect on the wealth of impressions you’ve gained over a delicious cocktail. There was the walk through the historical old town of Tauberbischofsheim with its many half-timbered houses, the revamped market square and Kurmainz Castle, and the visits to the VS School Museum and the farm museum. And tomorrow? Will you get some exercise and use the many cycling and walking trails around the town? 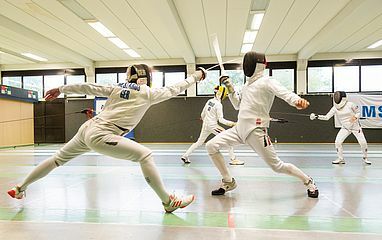 Or watch others being active in the world-famous fencing centre? There’s certainly a lot on offer. Touché, Tauberbischofsheim!